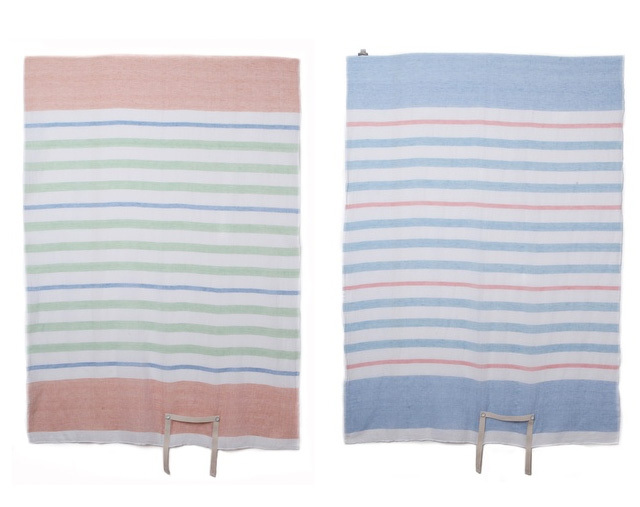 With spring break within sight--and an 80-degree weekend forecast in LA!--these Rag & Bone beach blankets* are looking especially compelling right now. (Just an aside: one of these blankets would also make for a fantastically practical and chic hostess gift!) The attached canvas straps allow for easy transport, too. *There's a sale at Shopbop through Thursday 2/28: get 10-20% depending on how much you spend over $250 by using code SPRINGEVENT.